This is a small landlocked Himalayan country in South Asia, bordered by the People's Republic of China to the north and India to the south, east and west. For a small country like Nepal, landscape is diverse, ranging from the Terai in the south to the Mount Everest in the north. Within a very small breadth the elevation of Nepal increases from the plain terrain to the tallest Himalayas. 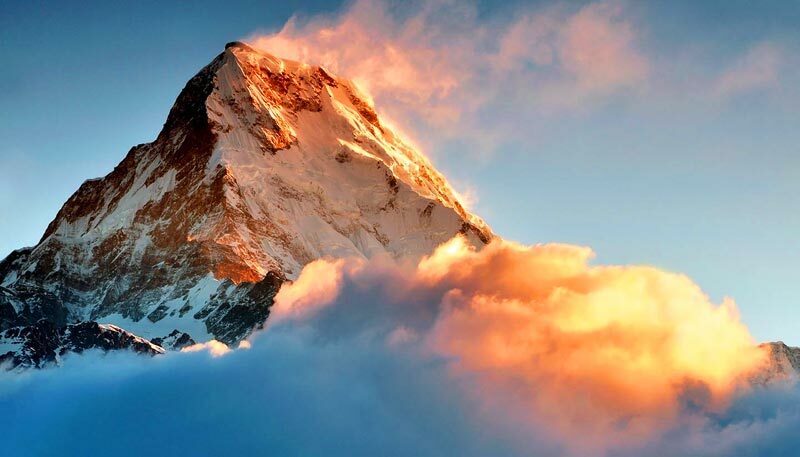 Nepal boasts eight of the world's ten highest mountains, including Mount Everest. The captivating landscape, with a diversity of flora and fauna, is the ultimate destination for a adventure holiday. It has to offer everything to the traveler from easy and short excursions to the long challenges of the snowy peaks, invoking visions of the spectacular Himalayas. Down south the lush meadows, green woodland and fragrant orchards leads to Lumbini the holy land of the Lord Gautam Buddha. Nepal is known for tourism, trekking, hiking, camping, mountain biking, national wildlife parks, jungle safaris, river rafting and for its beautiful temples. The other main cities and places of interest include Pashupatinath, Pokhra, Biratnagar, Birgunj, Janakpur, Nepalgunj, Mahendranagar, Chitwan, etc.